A man accused of looting a home evacuated due to the Bear Fire has been arrested on suspicion of lighting the same blaze, which ripped through nearly 400 acres in the Santa Cruz Mountains, according to sheriff’s officials. Robert Handa reports. A man accused of looting a home evacuated due to the Bear Fire has been arrested on suspicion of lighting the same blaze, which ripped through nearly 400 acres in the Santa Cruz Mountains, according to sheriff’s officials. At a news conference Friday, Sheriff's Lt. Todd Liberty said Marlon Dale Coy, 54, was involved in a dispute with residents of 475 Diane's Way in Boulder Creek. He intentionally set the fire in the vicinity of their residence, Sheriff-Coroner Jim Hart said. Officials first came across Coy when a number of people reported seeing him and a few other men in the area when the fire broke out, according to Liberty. Deputies were then called out to a Hidden Creek Road residence that owners said had been burglarized. A bicycle, cycling gear and roughly $15,000 worth of jewelry were missing, Liberty said. When Coy was located, detectives said that he was riding the stolen bicycle, wearing the stolen clothes and carrying a bag with the stolen jewelry. He was arrested on Oct. 17, while arson investigators continued to look into what had by then been deemed a suspicious fire. Detectives interviewed three witnesses who said that they saw Coy lighting the fire. The suspect, who lives near where the fire originated, continues to deny the allegations, Liberty said. That led them back to Coy who was once again taken into custody. It wasn't immediately known if he has retained a lawyer. 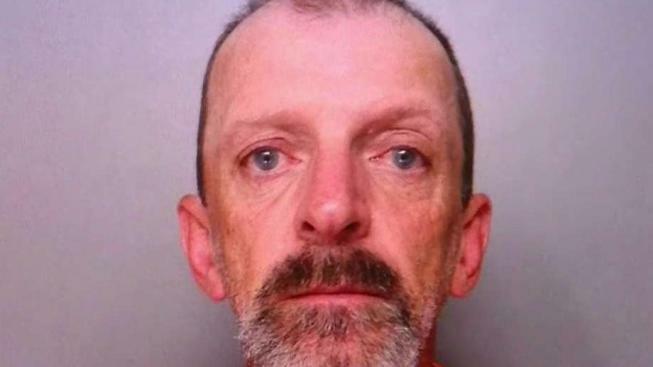 He now faces eight arson charges — including causing great bodily injury to firefighters and destroying forests — and is being held on $500,000 bail. He was slapped with two additional charges – first degree burglary and grand theft with an enhancement of committing it during a state of emergency – following the looting. Bail in that case is set at $200,000. The case has been sent to the Santa Cruz County District Attorney’s Office for review. All told, the Bear Fire burned for about 10 days, injured 13 firefighters, prompted the evacuation of 150 houses, killed a pet cat, and destroyed six structures, five RVs and 17 cars. More than 1,000 firefighters were deployed to the scene of the blaze, while 72 sheriff’s deputies performed 1,000 hours of patrol activity over seven days, according to Liberty. The flames were 100 percent contained on Thursday evening.